No need to look any further, the search for the perfect home for you and your family is complete with this 4 bed 2.5 bath home located in the gated community of Hunterâs Run. Rolling hills, lush landscaping, green grass, covered front porch and paved drive way will greet your arrival. This beautiful Somerset model features a 4â rear extension, bonus room, paved and elevated back yard. Home boasts of gourmet custom kitchen with massive granite countertops with generous breakfast bar seating area, glass mosaic backsplash and 42" cabinets with crown molding, oversized walk-in pantry, Whirlpool and LG appliances with brand new commercial grade cooktop vent. The first floor has an open floor plan, come in to the foyer and you pass the den/office with coffered ceiling and into the living room, dining room and kitchen with views of the outdoors paved back yard. Behind the columns in the living room you'll find a large bonus room for additional entertaining space. Upstairs you will find 3 spacious bedrooms and a large master suite with coffered/tray ceiling, sitting area and an en-suite master bathroom with frameless glass shower, garden bath tub, dual vanity sink and a huge walk in closet. 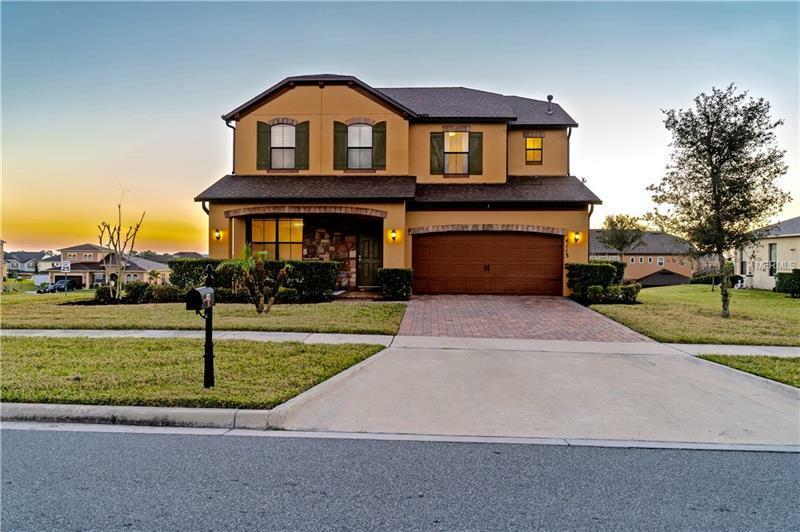 Hunter's Run is a well kept gated community in Clermont which is located very convenient to 429/FL Tpke in Winter Garden via Hartwood Marsh Road.